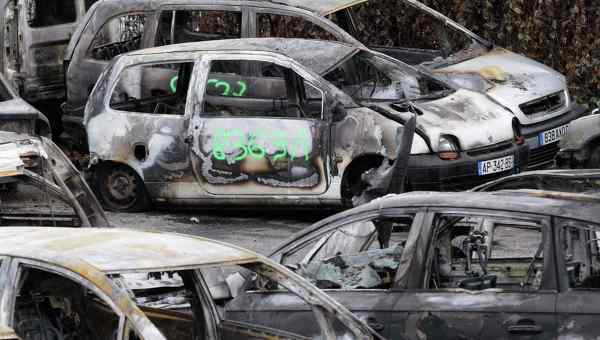 Notice the Arabic Graffiti painted on one of the burned cars. At least 20 cars were torched and four people arrested in a second night of rioting after French police enforced a law banning the wearing of a full face veil in public places. The violence, which began in the town of Trappes, some 50 miles north of Paris, had spread within a day to the suburb of Elancourt. On Friday night, police faced a mob of 250 rioting people hurling objects after a woman received a ticket on Thursday for wearing a full-face veil in a public venue. Her husband reportedly tried to strangle the officer who wrote out the summons. The veiled woman in question later contacted the Collective Against Islamophobia in France, claiming the officer in question had yanked her veil, and pushed her mother, who was with her at the time. Six rioters were arrested that night. Five others were injured in the violence, including four police officers and a 14-year-old boy who suffered a serious injury to his eye. Trash dumpsters were torched and a bus shelter was shattered by the rioters. Police used tear gas to break up the mob. On Sunday, incidents the night before targeted the Paris suburb of Elancourt, CBS News reported, quoting BFM television. A gang of some 50 attackers hurled a gasoline firebomb at police, and some fired weapons, a police union official said. Anyone who forces a woman to wear a veil is subject to a $39,370 fine by law. A woman who violates the law by wearing the veil is subject to citizenship classes and/or small fines. At least five people were injured, including four police officers, when a mob rioted in a Paris suburb over enforcement of the ban on full-face veils in France. Six were detained in the violence that struck the small town in Trappes Friday night, as 250 rioters hurled rocks at police, about 17 miles west of Paris. A bus shelter was shattered and a number of trash bins were torched, setting flames rising to the sky. A 14-year-old boy was hit in the eye by one of the flying objects in the melee, and suffered a serious injury as a result. Officers responded with crowd control measures that included the use of tear gas. 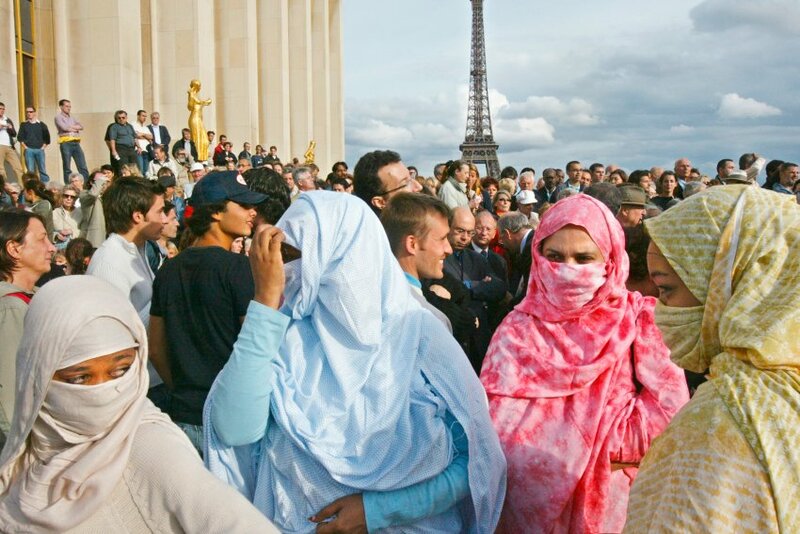 The violence was ignited following a protest over the arrest of a man whose wife had received a ticket on Thursday for wearing a full-face veil, in violation of French law. In response, her husband attempted to strangle the officer who was issuing the ticket, a prosecutor told reporters. Such tickets carry small fines or citizenship classes for the women who wear the veils, banned since 2011. 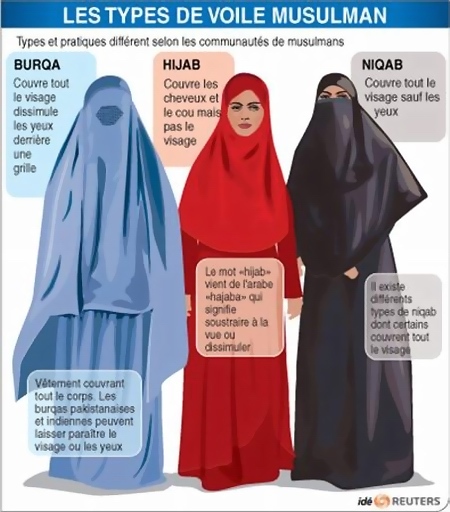 In addition, the law carries a 30,000 euro fine for anyone (husband or Islamic cleric) or who forces a woman to wear one. In addition to the ban on veils, France also bars head scarves in schools and public buildings, which affects observant Jewish women as well, many of whom also cover their hair with scarves. Local town official Erard Cordin de Mangoux told Sky News, “The police forces will remain in position for as long as necessary, not as provocation but for reasons of security, to give the 30,000 Trappes residents a sense of security and serenity,” he said. Posted in Terrorism and tagged Crime, France, Freedom, Islam, Jihad, Muslims, Terrorism. 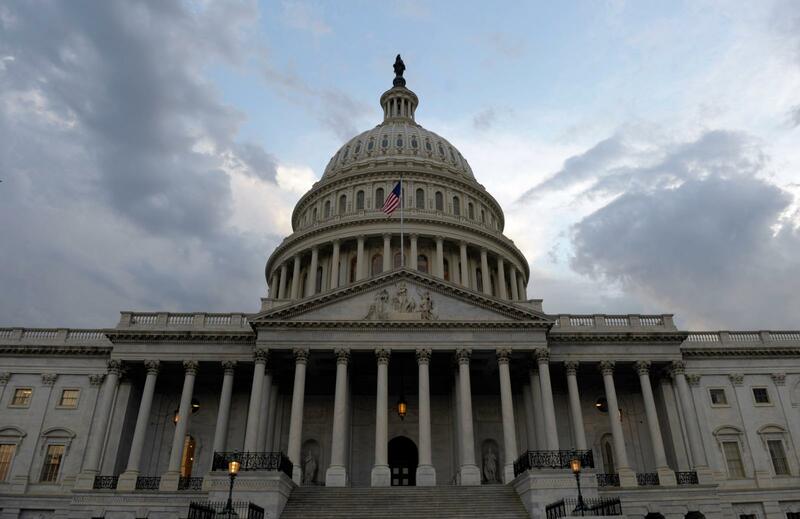 ← A Backdoor Path to Amnesty? A Backdoor Path to Amnesty?